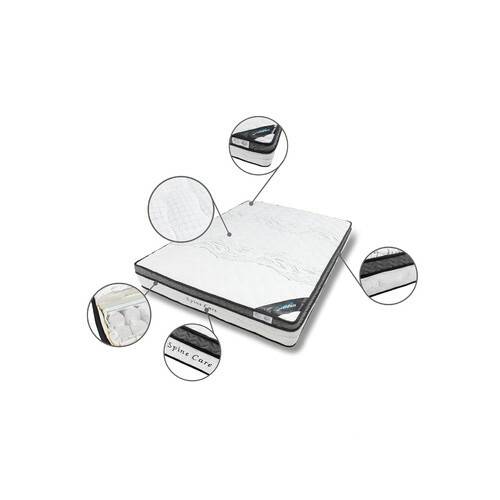 The SOMNIA Spine Care Mattress offers an innovative balance of comfort and support. It combines unique material with a newly developed, firmer, comfort layer that may help with the release of back pain. The generous Eurotop with 3D fabric at the sides can help air flow through the mattress to assist with temperature control, ensuring you don’t get too hot or cold. 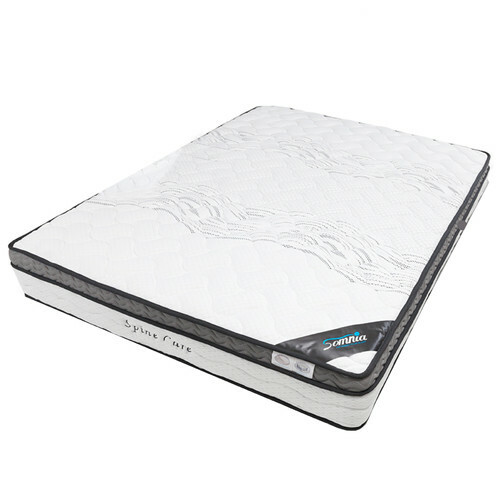 Individual Pocketed Spring: The IPS system is specially created to minimize disturbance from your partner during sleep by inherently absorbing this movement directly underneath the sleeper instead of spreading it across the bed. Meanwhile, IPS conforms to your unique body shape to provide your spine with sufficient support. A pocket spring mattress can deliver the ultimate solution of comfort and support. Natural latex helps you to fully relax by contouring your body shape to relieve pressure and provide precise support. 360° edge support offers edge-to-edge comfort across the mattress, ensuring the mattress retains its shape and provides long lasting comfort. Edge support also reduces the chance of mattress-edge sink (typically caused by sitting on the edge of the mattress) over a period of time. When you buy a Sleep Well Super Firm Mattress online from Temple & Webster in Australia, we make it as easy as possible for you to find out when your product will be delivered to your home in Melbourne, Sydney or any major city. You can check on a delivery estimate for the Rowland & Archibald Part #: Spine-Care--D / Spine-Care-Q here. If you have any questions about your purchase or any other Bed Mattresses product for sale our customer service representatives are available to help.Whether you just want to buy a Sleep Well Super Firm Mattress or shop for your entire home, Temple & Webster has a zillion things home.